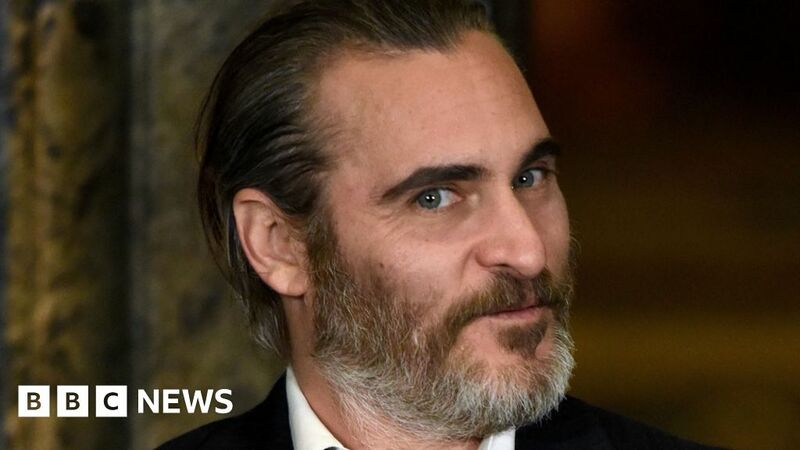 Gladiator star Joaquin Phoenix is to play Batman’s nemesis The Joker in a stand-alone film exploring the origins of the cackling comic book villain. Co-written and directed by The Hangover director Todd Phillips, the currently untitled film is set to begin shooting in New York this September. According to the Hollywood Reporter, it will be both “a gritty character study” and “a broader cautionary tale”. Phoenix’s other roles include Johnny Cash in 2005 biopic Walk the Line. The 43-year-old was recently seen playing Jesus in Mary Magdalene and as a troubled vigilante in You Were Never Really Here. Introduced in the very first Batman comic in April 1940, The Joker is synonymous with green hair, lurid clothes and an ever-present grin. Just for a laugh, here’s a look at some of the other big-name actors who have taken on the role. New York-born Romero has been acting in films for more than 30 years when he was cast as The Joker in the 1960s Batman TV series. The actor – whose distinctive moustache can be seen underneath the character’s white make-up – played the role in 22 episodes and also appeared in the show’s big-screen spin-off. The self-styled “Latin from Manhattan” said he had “enormous fun” playing the role, despite the hour-and-a-half it took to put on his make-up and wig. Signing up to play The Joker in Tim Burton’s 1989 film earned the Oscar-winning star of Chinatown and One Flew Over the Cuckoo’s Nest a cool $ 100m (£75m) in profit participation. The late Australian actor made such an indelible impression in 2008’s The Dark Knight that he end up winning a posthumous Academy Award. Drawing inspiration from Francis Bacon’s paintings, punk rocker Sid Vicious and Malcolm McDowell’s Alex character in A Clockwork Orange, he boldly re-imagined The Joker as a demented agent of chaos. The Oscar-winning star of Dallas Buyers Club had a fairly peripheral role in 2016’s Suicide Squad but was still scarily memorable as a Joker modelled in part on the late David Bowie. “You can have green hair and white skin and a crazy laugh, but I think you have to start from the beginning and walk down a brand new path,” he told the BBC. When not playing Luke Skywalker in the Star Wars films, Hamill has kept himself busy voicing The Joker in the Batman cartoon series and numerous video games. “I try and do it like it’s the first time I’ve ever done him,” the actor told Rolling Stone last year. “If you’re doing a show that’s more for children… he is more of an old-school, scary but buffoonish clown. TV series Gotham had the novel idea of dividing The Joker’s characteristics between twin brothers Jerome and Jeremiah Valeska. Both were played by former child model Monaghan, who called Jerome “the proto-Joker” in an interview this year. “Jerome… was a love letter to the 75-plus years of the character of The Joker,” the 24-year-old told CBR.com. Another actor who has been heard but not seen as The Joker is comedy star Galifianakis, who provided the character’s voice in The Lego Batman Movie. “The Joker is a great villain because he’s unpredictable and wild,” he said last year, admitting he had found Jack Nicholson’s interpretation “very inspiring”.